The interactive elements of this article were created by Sam Lavigne, unless otherwise noted. This project was made possible through the support of the Eyebeam Center for the Future of Journalism. The CCR’s claim is not a stand-alone lawsuit but an intervention in Silber v. Airbnb, a suit filed by a group of Jewish and Israeli-American citizens who either host or wish to rent homes on Airbnb; the claim is directed, not at Airbnb, but at the sub-group of settlers serving as hosts. These settlers filed suit against Airbnb in November 2018, days after the company announced it would be taking down about 200 rental listings located in Israeli settlements in the occupied West Bank; this in turn, followed a campaign by Human Rights Watch urging the company to take down listings in all Palestinian territories occupied by Israel in 1967—the West Bank, East Jerusalem, and the Golan Heights—as they are illegal under international law and responsible for violations of Palestinian human rights. Airbnb has yet to implement that policy, as listings in dozens of Israeli settlements offering “biblical views,” a “rustic caravan,” and a “Judean desert lookout” are still active. However, this has not deterred the settlers from pursuing their suit, which is directed at the company’s intention to take down the listings. The settlers argue that removing their listings would violate their right, as Jews or Israelis, under the US Fair Housing Act, to serve either as rental hosts or renters. The Fair Housing Act, a critical piece of civil-rights-era legislation passed in 1968, prohibits discrimination in housing on the basis of national origin, religion, ethnicity, gender, and other protected categories of identity. All images from Airbnb listings in Israeli settlements, sorted by room type. Mouse over images for larger view. The CCR says that its claim provides a way for Palestinians not only to challenge the settler’s suit under the Fair Housing Act, but also to bring additional allegations under US law; these include unjust enrichment and trespassing, as well as international war crimes, since the Israeli settler population’s very presence in the West Bank violates international humanitarian law. The CCR’s claim alleges that as an occupying power, Israel is prohibited by the Geneva Conventions from transferring its civilian population into occupied territory, from transferring the protected population (Palestinians) out of that territory, and from appropriating occupied land that is not for temporary military necessity. In intervening in the lawsuit, the CCR argues that it is the settler’s conduct—and not Airbnb’s attempt to reconcile its business practices with basic human-rights law and principles—that discriminates against their clients and millions of other Palestinians. “The settlers’ lawsuit is a cynical use of an important civil-rights statute. By intervening in their lawsuit and suing the settlers, our Palestinian clients are turning the spotlight right back to where it should be: these settlers’ own discriminatory action, and in fact, their responsibility for war crimes,” said Diala Shamas, a staff attorney at the CCR. Indeed, to get to a bed and breakfast in the Ofra settlement, hosted by one of the settlers in the lawsuit, a visitor coming from Israel’s airport would have to go through an Israeli checkpoint. The B&B, which boasts a hot tub, among other amenities, sits in the West Bank, north of Ramallah. Settlers established Ofra in 1975, and it is partially built on land confiscated from the Palestinian village of Ein Yabroud. 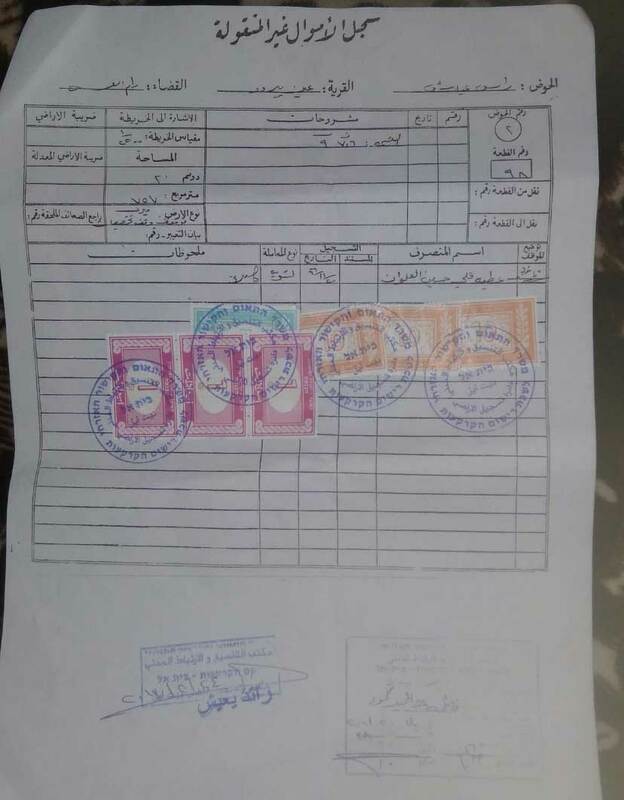 According to the CCR’s claim, Ziad Alwan, who was born in Ein Yabroud in 1969 but now lives in Chicago, cannot rent the Ofra property because he is Palestinian; he cannot set foot in it, even though his family is the rightful owner of the farmland that settlers and Airbnb are now profiting from. He holds the title deed for the land, which is listed under his father’s name and registered by the Israel Land Registry. Another property listed by settlers on Airbnb is in Adei Ad, between Nablus and Jerusalem. A hilltop outpost claimed by settlers in 1998, it is considered illegal even under Israeli law and is notorious for the violence its occupants inflict on Palestinians; less than two months ago, a Palestinian father of four was shot and killed in a clash with what Israeli authorities suspect was a civilian security guard from Adei Ad. Last year, Israel’s High Court ordered a freeze on all construction in Adei Ad, but the government continues its policy of tacitly providing infrastructure while officially working to legalize it retroactively. 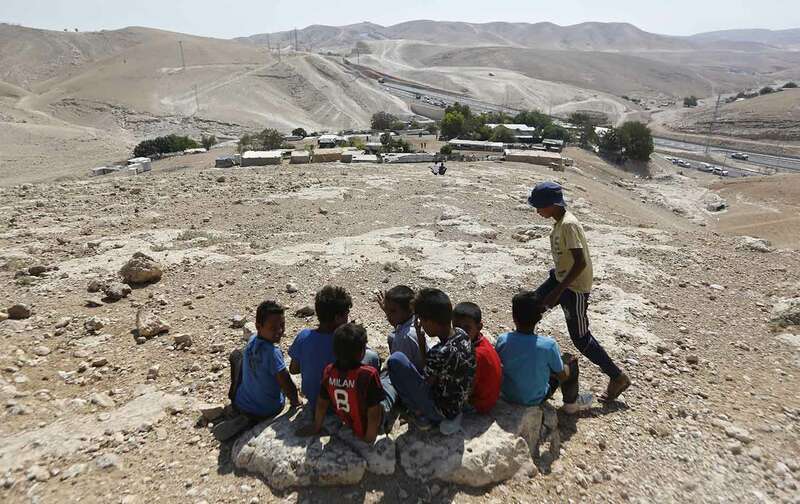 Adei Ad sits on land belonging to Jalud, a small Palestinian village of about 700 residents. According to the CCR, residents of Jalud have lost around 4,000 acres of their land to Adei Ad and nearby settlements. In their claim, residents of Jalud are not only challenging the claim by Moriyah and Jonathan Shapiro that Airbnb’s decision to delist their property is discriminatory; they also deny that the Shapiros are the owners of the property to begin with. The situation is much the same for the Airbnb listing in Almon, which offers a “Luxury home, heated pool and WATSU treatments.” It, too, is on land Palestinians claim as their own, in this case the town of ‘Anata, on the northeastern outskirts of East Jerusalem. And the same goes for another nearby listing in the settlement of Kfar Adumim, which boasts ATV rides, field trips, and desert hospitality, as well as camel, donkey, and horseback riding, but fails to mention that all this takes place on land seized from ‘Anata. As is standard for Airbnb listings in settlements, all of these indicate under the “neighborhood” description that they are in “Israel.” This is factually incorrect and deceptive; a tourist who does not know better could easily reserve a place in the occupied West Bank without knowing it is outside Israel’s internationally recognized boundaries. When asked about his clients’ decision to list settlements as part of Israel in their ads, even though Israel itself has not formally annexed them, Tolchin said, “There are those who say that the settlements are illegal. There are those who say they are not.” He added: “This is the heartland of the Land of Israel.” Tolchin is working on the case in conjunction with Shurat Hadin, a pro-settlement law office based in Israel that regularly pursues legal action against advocates of the Boycott, Divestment, Sanctions (BDS) movement. Airbnb’s announcement last November drew significant pushback from both the Israeli government and the Anti-Defamation League, as well as other American Jews who recognize settlements as part of Israel. They equated it with the BDS movement and said Airbnb is applying a double standard, since it operates in other conflict zones. (Airbnb has also removed listings in South Ossetia and Abkhazia.) In a letter to the governors of Illinois, New York, Florida, Missouri, and California following the announcement, the Israeli minister in charge of combating BDS, Gilad Erdan, called Airbnb’s decision an adoption of “the anti-Semitic practices and narrative of the boycott movement.” Airbnb does not boycott Israel and condemns BDS. The fact that Airbnb has not taken down the listings is, paradoxically, also one of its defenses against the settlers’ claims, which it has asked the court to dismiss. But that has not stopped Texas from recently placing Airbnb on a blacklist, classifying it as a company that boycotts Israel and is therefore, in accordance with the state’s 2017 anti-BDS law, deserving of its own sanctions. Florida Governor Ron DeSantis indicated he may follow suit. Still, how the CCR claim plays out, and whether Airbnb defeats the settlers’ lawsuit and in fact removes the settlement listings, could set a precedent for other big-tech and tourism companies to rethink their policies in areas under Israeli occupation. Sentences from the descriptions for Airbnb listings in Israeli settlements, sorted alphabetically by first word. As important, says Randa Wahbe, the case brings Palestinian voices, so often sidelined in the United States, back into the conversation. “The fact that settlers are using the specific piece of legislation pushed through after Martin Luther King’s assassination to protect disenfranchised black communities in order to discriminate against Palestinians is what I find so horrifying,” she said. View the full interactive version of Occupied BNB here.